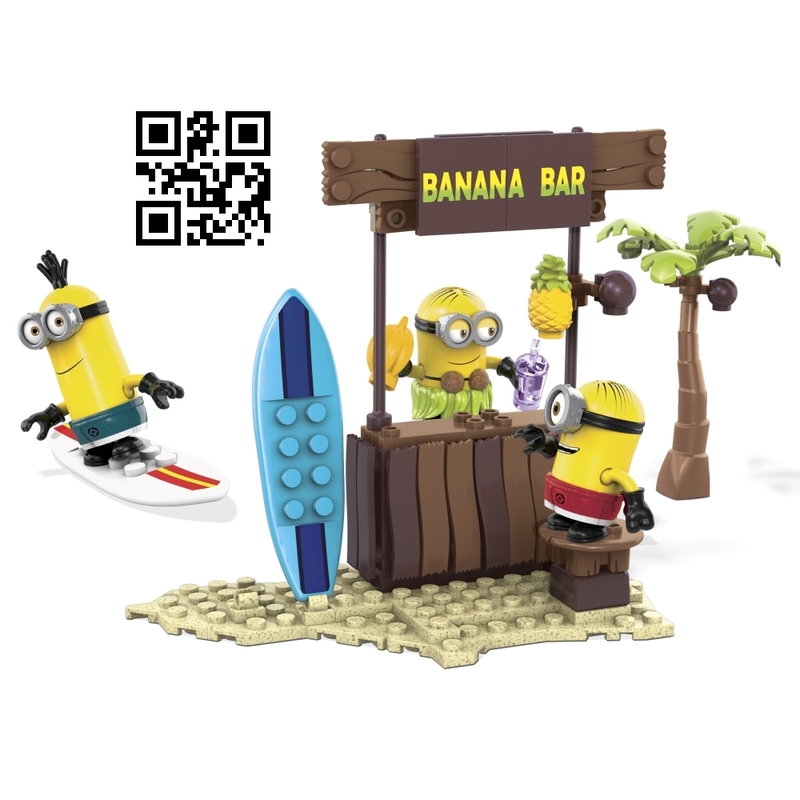 Product Description: Surf’s up and the beach is looking fine at Beach Day by Mega Bloks Despicable Me™. Put on your hula skirt and dance your way to the Banana Bar for an afternoon of fun and laughs with the Minions. You can build three super customizable Minions and mix and match their beach accessories. Hop on a surfboard and ride the waves! Just don’t go out too far without proper supervillain supervision! Features: • Three buildable Minion characters with interchangeable parts including hula skirt and beach shorts & goggles • Fully buildable banana bar with two surf boards and palm tree • Collect them all and build your own mischief!